Physical presence used to be the deciding factor for sales tax: States could tax sales by businesses with a physical presence in a state, but not those by businesses without one (remote sellers). Last summer, however, the Supreme Court of the United States overruled the physical presence requirement in South Dakota v. Wayfair, Inc. (June 21, 2018). Now, in addition to physical presence, a state can require a remote seller to collect and remit sales tax if it has sufficient economic ties to the state, or economic nexus. Within days of the Wayfair ruling, Hawaii and Maine started enforcing economic nexus policies closely resembling South Dakota’s. Since then, numerous states have followed suit. Economic nexus took effect in 10 states on October 1, five on November 1, and it will come online in six more come January 1, 2019. Other states, including the giants California, New York, and Texas, will likely adopt economic nexus early next year. For companies that do business in multiple states, the barrage of these new remote sales tax requirements can be overwhelming. 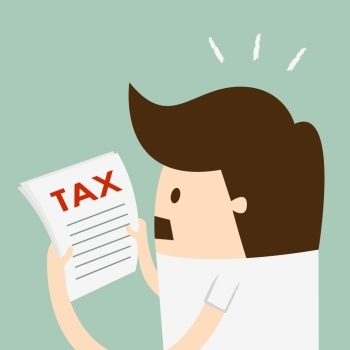 How do you know if you’ve triggered an obligation to collect sales tax in a new state? Tackle the states that already or soon will enforce economic nexus first. Determine if you qualify for the small exception and, if not, how close you are to surpassing it. To do that, you’ll have to understand which transactions are included in the threshold; taxable sales of tangible personal property is a given, but some states also include exempt goods, and some include taxable (and sometimes exempt) services and/or intangible sales. This is one of the trickiest aspects of state economic nexus laws. Another tricky aspect is the date range used to determine the threshold. It’s the current or preceding calendar year in many states, but some states use the previous twelve months or another date range. Finally, you must determine how soon you have to register and commence sales tax collection once the threshold has been surpassed — it may be as early as the next day. Figuring out all this is just the start. Once you have economic nexus in one or more states, you’re required to comply with those states’ sales tax laws. But you can deal with that iceberg once you hit it. First, you need to know where you have an obligation to collect and remit. Avalara’s Check Your Nexus tool can help. For more information, view this webinar — Economic Nexus and the Future of Sales Tax: The Impact of the South Dakota vs. Wayfair, Inc. Ruling.